If you are looking to supercharge your day give that cold water faucet a turn. Understanding and producing hormones in the 1950’s was thought of as the panacea for all health problems that had the potential to extend human life indefintely. Obviously we will all still die but the correct hormone balance is essential for leading a happy and vibrant life. Why is one’s hormones such an intricate part of one’s health? Since hormones are being released into the blood, they have a global effect on your body. The key to living an amazing life is not just more of the “good” hormones and less of the “bad” hormones, but the correct balance. For the modern person their hormones tend to be completely out of whack. Being over stressed and overworked results in excessive production of cortisol, which hampers your ability to produce and release sufficient quantities of testosterone. So what can YOU do today to counteract these problems and take the first step towards getting your hormones back on track? Cold Showers. This may seem so simple but I implore you to try it for a few days and I am sure you will notice a huge improvement in your overall well being. It also is like an “elephant tranquilizer” if done about an hour before bed. 3. Then turn your back to the water stream and slowly walk into the cold water (this will be tough at first but you get used to it), and spend 2-5 min here. 4. Then wash the rest of your body in the cold water for another 2-5 min. There you have it, a quick and easy method that you can implement while showering (which is something I hope you are doing on a daily basis). 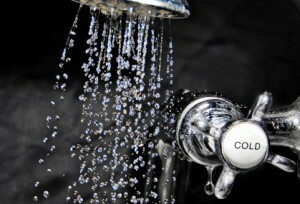 What happens if you are completely opposed to taking a cold shower? An alternative is placing an ice-pack on your neck for about 20 minutes an hour before your bed-time.